I had the opportunity to do my first (and to this day, only) guided running tour through the streets of old Barcelona. This was one of the most fun and informative travel experiences of my life. Major European cities are awesome to explore in general, with the combination of architecture, art & natural beauty. Seeing all of that during an early morning run as the city is just beginning to wake up is a unique experience I would recommend to anyone. Notable inclusions on the tour were Plaça Reial, El Raval, Las Ramblas, Parc de la Ciutadella & many more. 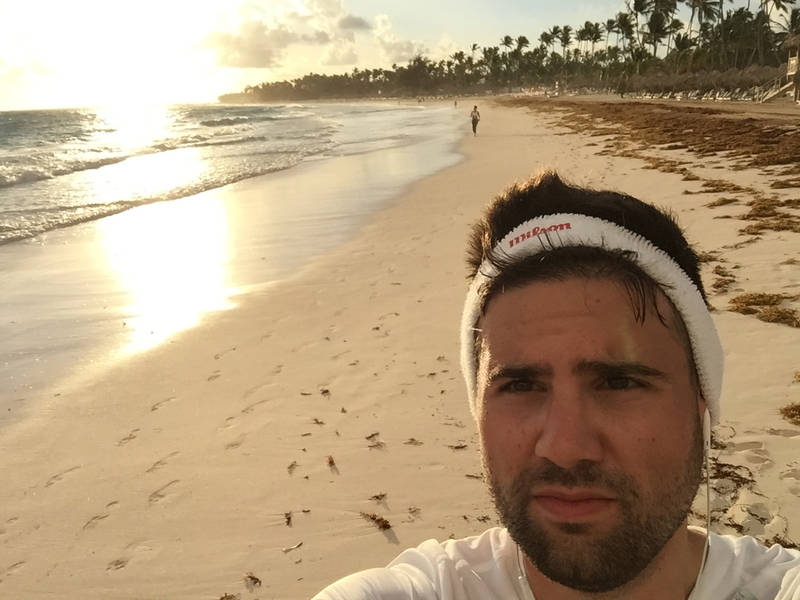 I began my morning runs in Punta Cana through the winding pedestrian roads of the mega-resort I was staying at. This was fun as the grounds are quite impressive with thick patches of manicured palms and beautiful swimming pools. However the best part came when I left the paved roads for the edge of the beach where the sea meets the sand. Beach running is a little hard on your ankles, but the feeling of the crisp ocean waves gently crashing into your legs as you run across the seemingly never-ending Bavaro Beach is a true Caribbean experience. Be sure to grab a a drink from a fresh young coconut to refuel on those electrolytes when you finish. People from all over the world flock to this natural wonder of the world on the Canada/US border. While most will only spend time from the main viewing decks surrounding the American & Horseshore falls, runners (or hikers) have the chance to explore kilometers of beautiful rapids and river views. Starting near the Rainbow bridge I made my way past both of the mighty falls and along the riverside, eventually turning back and testing my mettle heading up the steep incline along kitchy Clifton Hill. The paths are very runner friendly, but if you are there in the summer or other peak times, you will likely have to dodge some serious crowds along the main drag. I can’t say enough good things about Malta, especially the rural northwest part of the island I stayed at. The Mediterranean sea is beautifully displayed in hidden coves viewed from the rugged cliffs above. I ran from my hotel and visited two different pristine beaches as well as an quaint 17th century watch tower. 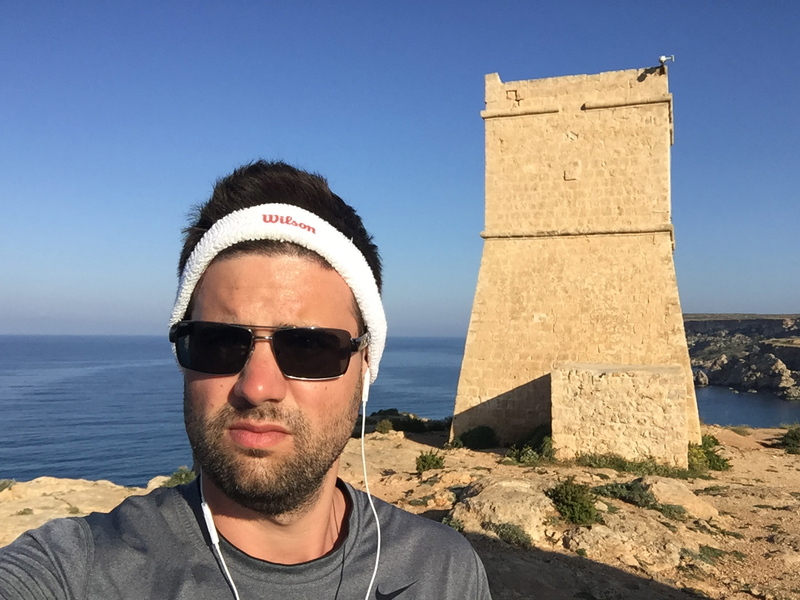 If you plan to run in Malta you better get those thighs working, getting up and down the cliffs from the the lookouts above to the beaches below is a nice challenge. Quebec City’s motto is “So Europe, So Close”, and you really feel like you are across the pond while running. From the Plains of Abraham to the majestic Chateau Frontenac, there is no shortage of beautiful and historically significant sights to take in on your jog. 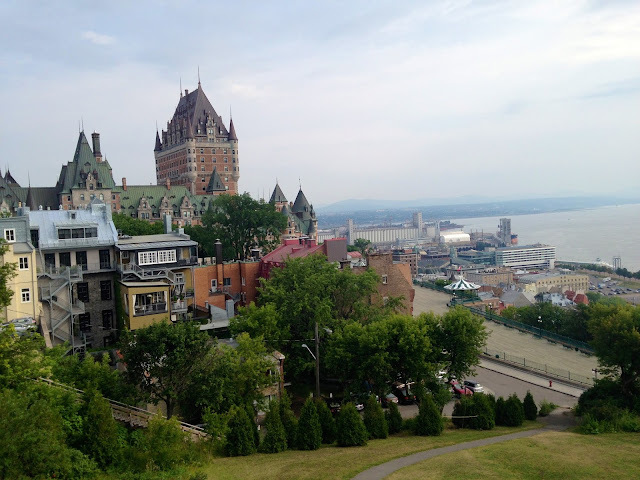 The city is so versatile for runners, offering large green expanses, top notch views of the St. Lawrence and demanding climbs between ‘upper town’ and ‘lower town’. There are several challenging staircases in the city to work those quads, without even running. Just be careful and watch out for the crowds! As mentioned in an earlier blog post, running in South Beach is a strong tradition for both locals and tourists alike. 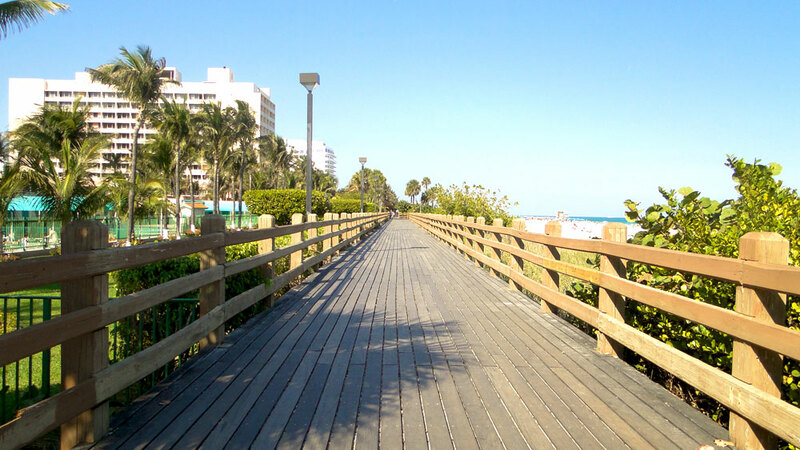 The iconic beach destination has an impressive boardwalk that separates the businesses on Ocean Drive from the massively long and impressively wide beach. It is a great spot to people-watch as there are many other runners & cyclists throughout, regardless of the time of day or time of year. If you want to run and feel like a celebrity while you do so, this is the place. I imagine there are countless fantastic running spots in this major European capital. 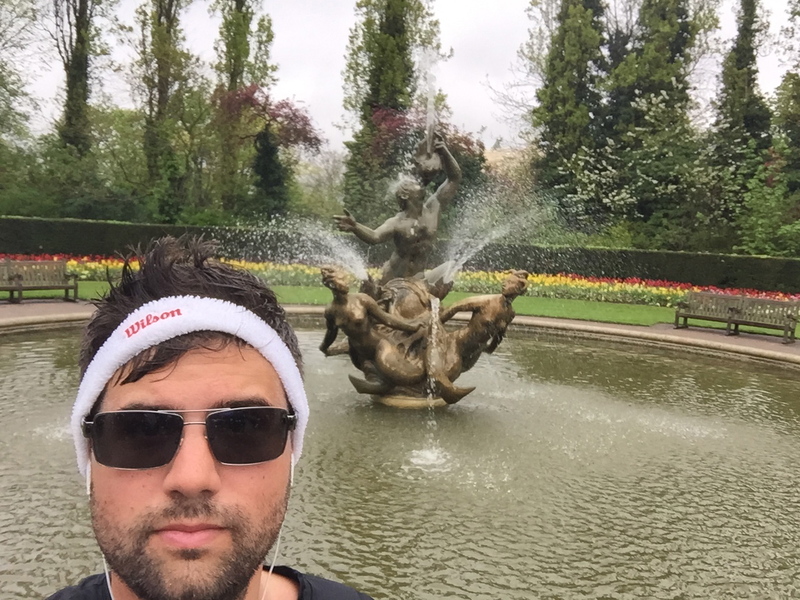 In my short stay I only had the opportunity to check out one of them; Regent’s Park, on a drizzly spring morning. This massive piece of parkland just north of the central part of the city offers runners kilometres of beautifully gardened trails to explore. Don’t miss the impressive entrance gates, the bridge over Boating Lake & Triton Fountain. I ran for nearly 10km and didn’t even scratch the surface of what the park has to offer it’s active guests. If you have Strava or another app that tracks ‘segments’, but sure to take a spin around the Inner Circle, and see how you stack up against others. Running in the desert seems a bit crazy, but if you go at the right time of year (see: winter) it can be a very enjoyable experience. Towering palm trees line the downtown core while cute south-western villas with their colourful gardens dot the small suburban streets. 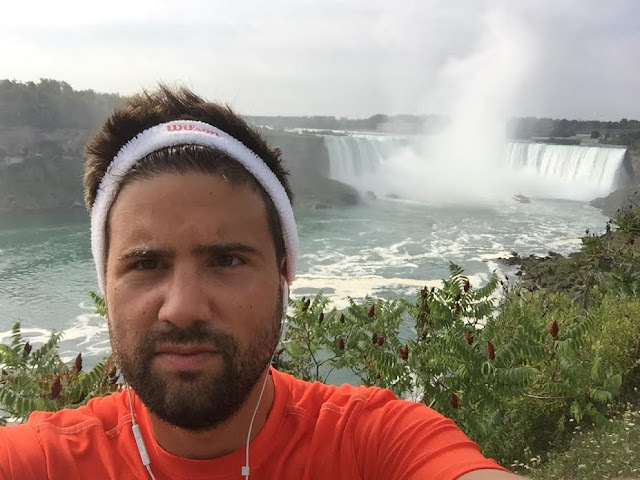 There are mountains everywhere you turn and the divide between the trendy downtown core and the peaceful natural environment transitions seamlessly as you run.